Stunningly beautiful Ios embodies the Greek Isles with its whitewashed buildings perched on hilltops, an amphitheatre and miles and miles of golden beaches. There is something for everyone on Ios island, party the night away at one of Ios' many electrifying nightspots or relax and watch the beautiful sunset from the amazing locations on the island. This beautiful Greek island is located between Naxos and Santorini and is a short ferry ride from Santorini making an extended holiday or even a day trip a viable option. 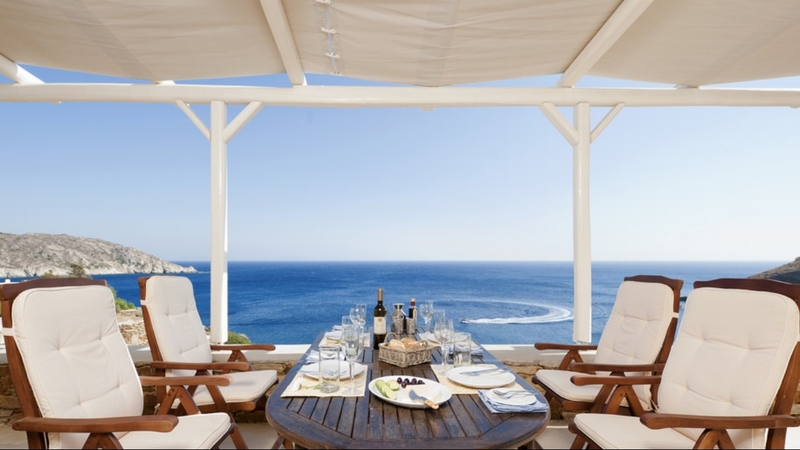 Why not choose one of our luxury villas in Ios, Greece and enjoy a truly memorable holiday. Villa Milo is an ultra-modern cave-style summer house on the remarkable island of Ios; the characteristics of this cave houses is unique and it blends into the surroundings achieved by the use of natural materials and the restoration of the grounds. A premium luxury villa on Ios island with a private access to the beach; the stylish living area of Villa Viola is a combination of Cycladic features and minimal design.